Joann Le and David Horsley have spent the last six years gradually transforming their 1913 bungalow from a collection of small, dark rooms into an airy, light-filled home. 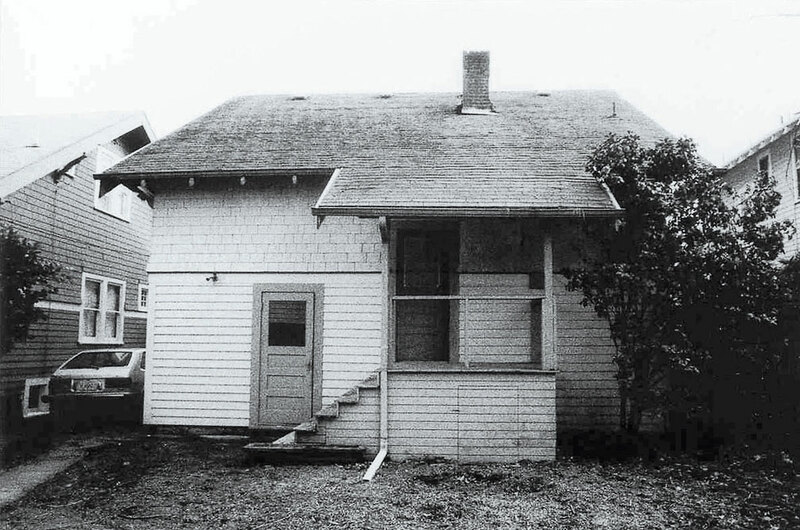 The biggest changes are visible at the rear, where the expanded kitchen now opens gracefully to a spacious porch. Skylights between the porch rafters allow natural light into the kitchen through tall windows and a glass-paneled door. Openings in interior walls let the sunlight penetrate even deeper into the house. 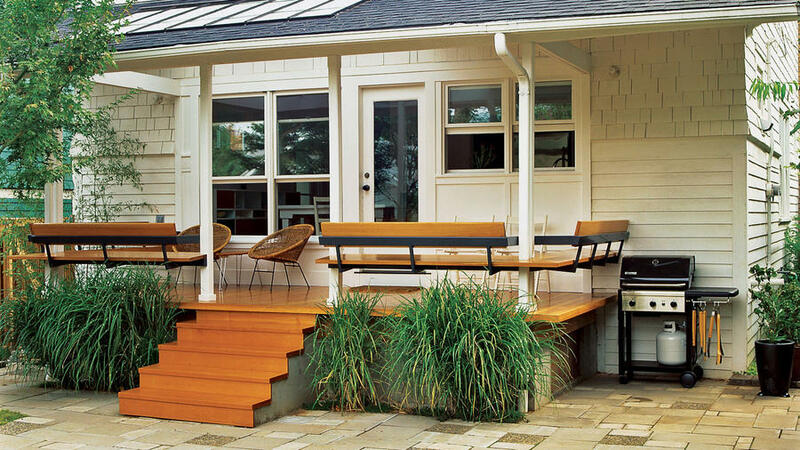 The same fir flooring is used in both kitchen and porch to visually tie the spaces together (outside, the flooring is protected with spar urethane, a marine-grade finish available at most paint and hardware stores). To achieve the same sense of outdoor living on the second floor, the couple added a shed dormer ― giving them more light and views while enlarging bedrooms and creating space for an upstairs bathroom. The eat-in kitchen opens to the rear porch through a glass door. 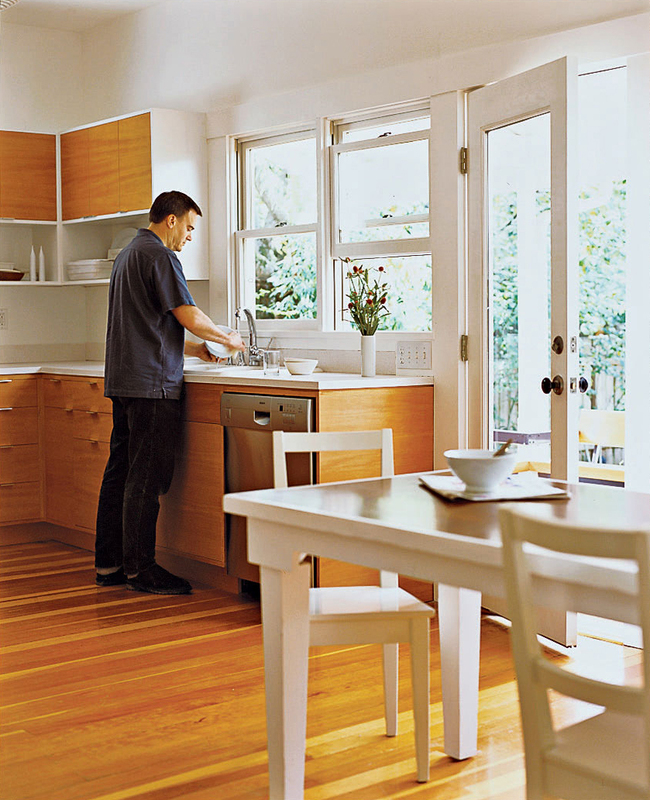 Double-hung windows above the sink allow in air and light. The table legs are painted white to match the walls, ceiling, and cabinet trim. The flooring is reclaimed from old schoolhouses. 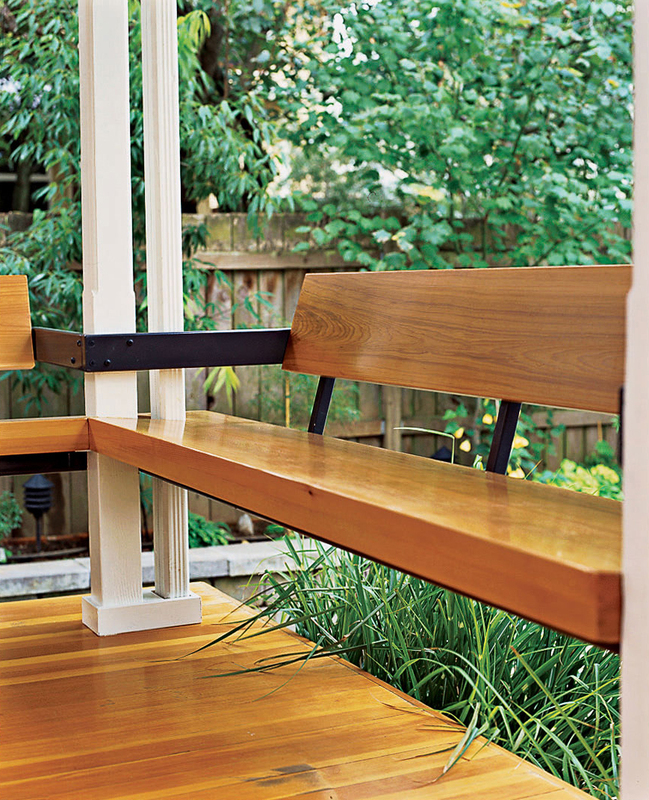 Built-in seating eliminates the need for a porch railing and contributes an uncluttered look. “Plus, if you can sit on the railing, it makes the porch that much larger,” says Horsley.